Even with a culture of news channels, soaps, talk shows, personal blogs, twitter and vimeo, we only hardly understand the complexities of average life, and the implications of every day history. This program between experimental and documentary shorts brings together films dealing with micro-history. It is not just the American sprawl that seems to be opaque to history-telling. The French provincial town already seems to be as alien, when seen from a political perspective. 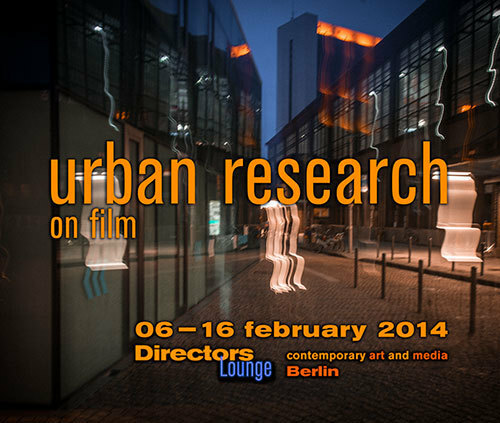 Urban Research is a special film program during the Berlin International Directors Lounge concerned with urban themes curated by Klaus W. Eisenlohr. For years the urban landscape has been under rapid change. Due to the increased economic pressure and shift towards mono-functional uses of the city, public space more and more vanishes. The newly awakened interest in old city centers, which is a rather positive development, has also created new demands in conjunction with the deregulations of national and municipal city tasks: the city has mainly become an object for real estate investment. On the other hand, new waves for urban movements towards a democratic renewal have appeared. A redetermination of public place may have come across, a new protest culture against the complete commercialization of the city has spread in places. Be it called neoliberal, new labor, social democratic, political-islam or post-Maoism, you name I. The radical loss of democratic political influences concerning urban development seems to have found a counter force in a rediscovery of the political space. The above sometimes extreme changes in the urban are also being reflected in creative art and film, or may even find their unique expression in the arts. This might be your last chance to read some unfunny text, while waiting for the actual DL X program. pictured: Urban Research Program Flyer.